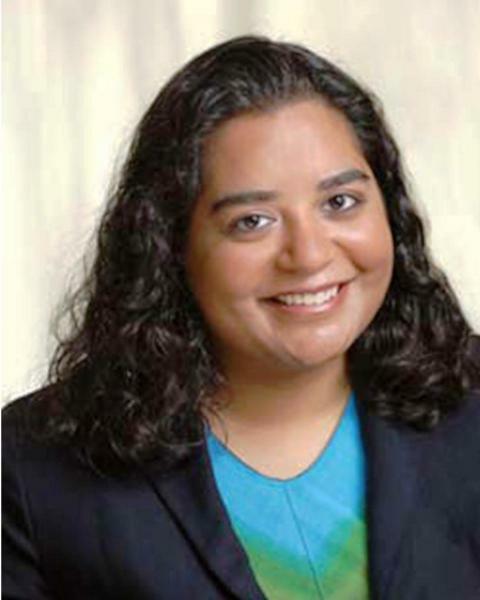 Sonal was born in Arlington and raised in Herndon and Falls Church. Needless to say, she loves Northern Virginia and knows its special corners. A graduate of Thomas Jefferson High School, she earned a Bachelors of Science from the College of William & Mary. She excelled as a database programmer and analyst for five years, working for a government contractor, before becoming a Realtor®. When Sonal isn’t busy with her academic or professional endeavors, she enjoys indulging her self-described “geek” side. She and her husband gather with friends to attend movie screenings and book releases, like the Harry Potter and Lord of the Rings series. And there are few things Sonal enjoys more than sitting down with a good book from one of her favorite science fiction authors, like Orson Scott Card or Jim Butcher. Her clients and co-workers admire her leadership abilities, attention to detail, patience, communication skills, determination, and ethics. Married in August 2005, they had a son in Jan 2013 and enjoy watching him learn. “I believe that every problem has a solution. You just have to keep searching until you find the answer." And it’s exactly this approach to life that guides everything she undertakes. Whether achieving scholastic success, excelling in her career, or staying active in her community, she strives to reach A Higher Standard. Early on, this constant pursuit of excellence catapulted Sonal’s success at one of the most elite schools in the community. With hard work and drive, she thrived while attending Thomas Jefferson High School for Science and Technology. This achievement led to further success at the collegiate level where she earned a B.S. in chemistry from the College of William and Mary. Sonal has also made a commitment to lifelong learning by continuing to take courses in a variety of areas. Sonal’s educational achievements paved the way for her flourishing career in the technology industry. As a systems analyst, she built a reputation for thinking outside the box by creating new strategies and systems. Sonal’s commitment to going beyond the standard did not go unnoticed. She was quickly promoted to a managerial position where she encouraged others to strive for excellence with their work as well. It’s clear Sonal is dedicated to holding herself to a higher standard in all her endeavors. 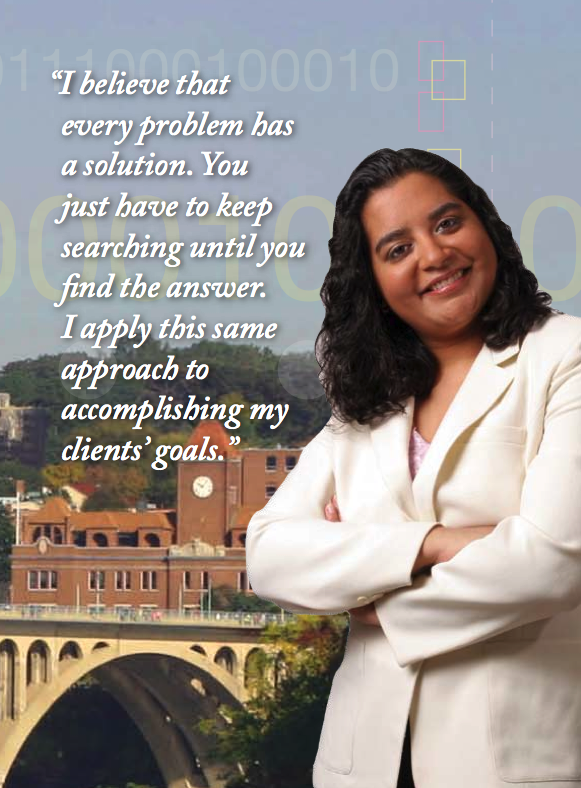 Fittingly, in her career as a leading real estate professional, Sonal works tirelessly to exceed clients’ expectations. She knows the key to satisfied clients is staying by their side throughout every phase of their move, offering insightful guidance, and sharing her wealth of knowledge to ensure they achieve real estate success. Sonal takes the time to discover her clients’ unique needs and executes a plan to bring them the best possible results. The logical, detail oriented nature she honed while working as a systems analyst means she will ensure nothing falls through the cracks. From diligently covering every detail to using innovative marketing techniques, doing what it takes to help her clients make the most of their opportunities is this real estate professional’s top priority. If you’re in the market to buy or sell a home in Northern Virginia, don’t settle for second best. Turn to an exceptional real estate professional who treats your goals as if they were her own. Call Sonal Goda today. She is dedicated to providing A Higher Standard.